New pedal offers up classic Tube Screamer tones. 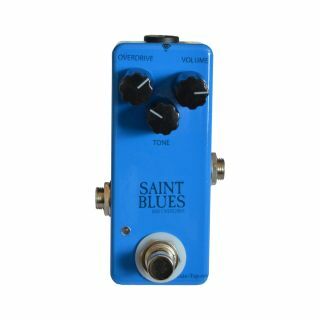 Vein-Tap.com has introduced its new Saint Blues 808 Overdrive. The Saint Blues boasts circuitry identical to a vintage TS808 and is powered by a “holy grail” JRC4558D IC chip. There’s also true bypass switching and hand-built construction. For more information or to pre-order the Saint Blues, head to Vein-Tap.com.